Many people can recall July 2016 when the world seemed to stop what they were doing to play the new game “Pokémon Go.” Overloaded servers and unoptimized gameplay plagued “Pokémon Go” at its beginning, causing many people without higher-end phones able to handle the game or who were indifferent about Pokémon to stop playing. Now more than two years later, “Pokémon Go” is still alive and thriving. Although it still suffers from its glitches, “Pokémon” Go has 5-million daily players and 65-million monthly players. From its beginning to now, “Pokémon Go” has been drastically updated. There is now a friend’s list where players can add each other and send daily gifts. Every time a player opens a gift or battles with a friend, their friendship level raises, adding more benefits, such as experience point boosts. Players can also trade Pokémon with their friends on their friend’s list, making it easier for everyone to obtain rarer Pokémon, like a shiny Pokémon or even a lucky Pokémon. There are now also raids in which strong Pokémon hatch from an egg at a gym. Depending on how strong the Pokémon is that hatches, multiple people may need to bind together to battle and defeat a very strong Pokémon, like a legendary Pokémon. After completing a raid, players have a chance to earn an EX raid pass, where players have a specific time frame, date and location to defeat an even rarer legendary Pokémon. Recently, the fourth generation of Pokémon of the Sinnoh region from the games “Pokémon Diamond,” “Pokémon Pearl” and “Pokémon Platinum” was partially released. Now, generations one, two, three and now four are available for players to catch. Not only are there all of these new updates to the game, but Denton itself is also a wonderful place to play the game. 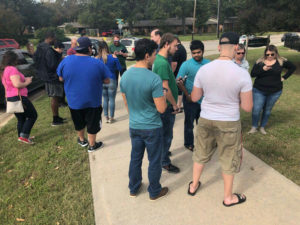 There is a Denton “Pokémon Go” Discord where local players can discuss new updates, ask for help with raids, let people know where rare Pokémon have spawned and much more. To join the discord, click here. Make sure to read the rules before interacting with the discord, as this helps to ensure the community is happy and running well. When meeting up for raids on campus, the local Denton players are often all smiles and happy to talk about anything and everything Pokémon. 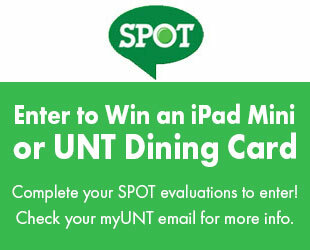 The UNT campus also offers a plethora of Pokéstops to spin. 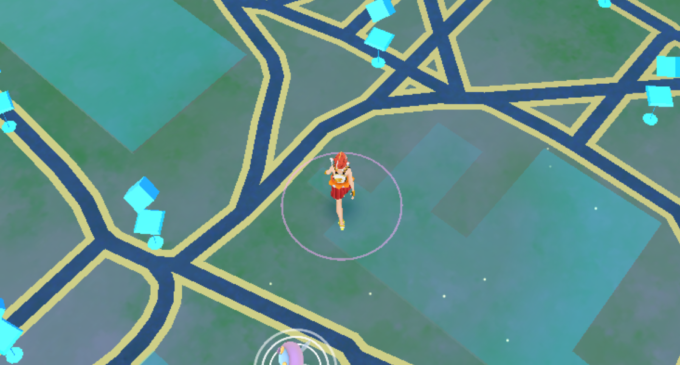 Each one on the main campus often has a lure on the monthly Community Days, providing players with even more Pokémon to catch on those special days. Even if Pokémon isn’t someone’s jam, having something to do while walking through campus, like catching Pokémon, can make that long walk to the Environmental Science Building a little less painful. “Pokémon Go” is also a way for people to make new friends. With all of its updates, better optimization and a glowing community, “Pokémon Go” is worth it to give a whirl again. Pokemon Go is an excellent game to play. I have been playing it from last 2 years. thanks for great work on Pokemon Go game. Have been in love with this game since its release.